One word says it all...it's who we are, it's what we do! This is NOT your grandmother’s linoleum. Vinyl is now a broad term that refers to a wide variety of products knows as RESILIENT FLOORING. 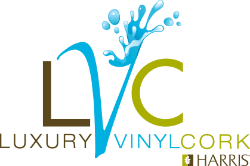 Many upscale apartments, condominiums and homes are designed using the latest generation of vinyl materials. Some vinyl is infused with fiberglass to eliminate edge curling and can be installed without adhesive. Vinyl is available in squares, planks and rolls with patterns that resemble real wood, stone, porcelain and anything else artists’ can dream up. Are you on a tight budget and need resilient flooring at a great price? We have vinyl to fit that need. Or, do you need a floor that will hold up to the “moisture” of kids and pets without compromising good looks. Perhaps you want an elegant, yet durable, floor that gives extra cushion? For each of these we have a vinyl that will work for you. Visit the web sites below to get an idea of your many choices with vinyl. I just wanted to let you know how impressed I am with Brian and FLOHR. He has been so responsive and professional. Thank you for referring me to him and I think you can continue to refer people to him with confidence.